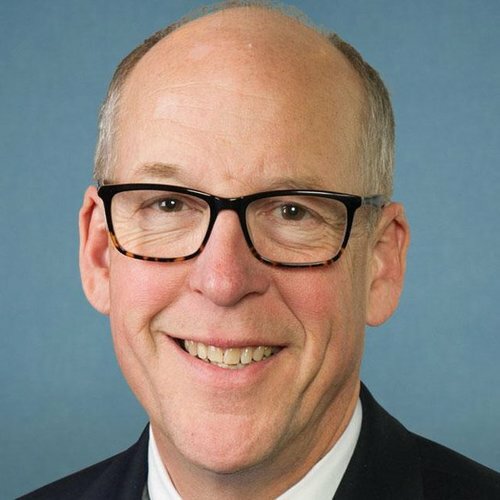 Greg Walden has refused to provide voters with positions on key issues covered by the 2018 Political Courage Test, despite repeated requests from Vote Smart and voters like you. X g) Prohibit the late-term abortion procedure known as "partial-birth" abortion. X h) Prohibit public funding of abortions and public funding of organizations that advocate or perform abortions. Yes 3) Do you support amending the U.S. Constitution to require an annual balanced federal budget? Federal debt reduction first, then Medicare, then tax cuts. b) Establish spending limits on congressional campaigns. c) Provide public funding for federal candidates who comply with campaign spending limits. g) Provide free or low-cost television advertising to candidates who agree to voluntary campaign spending limits. i) Pass legislation banning issue advocacy commercials by outside groups within 60 days of an election. X a) Broaden use of the death penalty for federal crimes. X b) Increase spending to build more federal prisons. e) Expand funding for community policing programs. X f) Increase penalties for the possession of any illegal firearms. X g) Prosecute youths accused of a felony as adults. h) Increase funding for local Boys & Girls Clubs and other independent organizations in communities with at-risk youth. j) Deport all permanent resident aliens convicted of a felony. X a) Increase penalties for selling illegal drugs. X b) Impose mandatory jail sentences for selling illegal drugs. X c) Impose capital punishment for convicted international drug traffickers. X g) Increase funding for border security to stop the flow of illegal drugs into the U.S.
a) Provide tax credits for companies that move job-creating industries into areas with high unemployment. b) Increase funding for national job-training programs that re-train displaced workers or teach skills needed in today's job market. d) Establish empowerment zones in areas with large numbers of unemployed people. X c) The federal government should discontinue affirmative action programs. a) Support national standards and testing in reading and math. X g) Give all federal education funding to states in the form of block grants and allow them to spend it as they see fit. 2) Do you support amending the U.S. Constitution to guarantee the right to religious expression and voluntary prayer in public places, including schools? X a) Require the state to fully compensate citizens when environmental regulations limit uses on privately owned land. b) Strengthen the Clean Water Act. X c) Change the Endangered Species Act of 1973 to limit the number of habitats eligible to be designated as endangered. d) Increase fees charged to ranchers who graze cattle on federal lands. e) Revise the 1872 mining law to increase the fees charged to mining companies using federal lands. f) Encourage development of alternative fuels to reduce pollution. i) Promote the selling of pollution credits between nations to encourage industries to decrease pollution levels. l) Strengthen the restrictions on clear-cutting on federal lands. X a) The U.S. should resolve future disputes with Iraq through diplomatic means. X c) The U.S. should participate in UN peacekeeping missions only when vital U.S. interests are involved. f) The U.S. should pay its debt to the United Nations. No 4) Should the U.S. have diplomatic and trade relations with Cuba? Undecided 5) Should the U.S. recognize and extend full diplomatic relations to Taiwan? c) Maintain federal restrictions on the purchase and possession of firearms. X f) Favor allowing citizens to carry concealed firearms. d) Support health care strategies focused on prevention, including health education and natural medicines and remedies. X g) Expand eligibility for tax-free medical savings accounts, which would be taxed if used for any purpose other than medical costs. j) Classify nicotine as a drug and cigarettes as drug delivery devices, which should be regulated by the Federal Food and Drug Administration. k) Provide citizens age 55-65 the option of purchasing Medicare health coverage. X h) Establish English as the official and recognized language of the United States government. Establish an agricultural guest worker program. X c) Invest Social Security's assets collectively in stocks and bonds instead of U.S. Treasury securities. Yes 6) Do you support requiring a super-majority vote in both houses of Congress to raise taxes? 1) Do you support amending the Constitution to limit the number of terms which members of Congress can serve? Yes 4) Do you support the World Trade Organization (WTO)? Undecided 5) Do you support imposing tariffs on products imported from nations that maintain restrictive trade barriers on American products? Undecided 6) Should a nation's human rights record affect its "most favored nation" trading status with the United States? Yes 7) Do you support granting the President "fast-track" authority? X e) Continue to give states and local governments responsibility for welfare programs through block grants. X g) Maintain current welfare-to-work requirements in order for states to qualify for block grants. X h) Convert government-funded low-income housing projects into private housing, managed and owned by the residents.